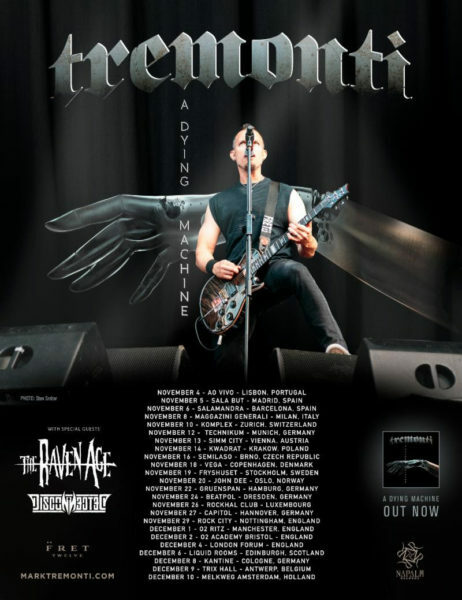 TREMONTI ANNOUNCES WINTER 2018 UK TOUR. 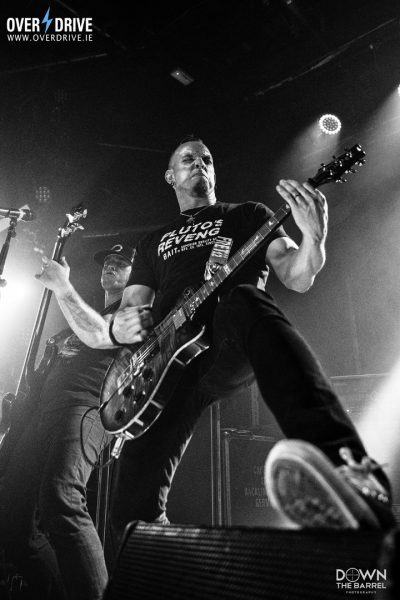 Tremonti, the band led by Alter Bridge guitarist Mark Tremonti on vocals/guitars, have announced their return to the UK for a headline tour this winter. Tickets went on sale this morning, at 10 am. Support comes from Brit rockers The Raven Age and French metalheads Disconnected. Full tour info and ticket links can be found at this location. A Dying Machine is the first concept album of Mark Tremonti’s career and the music is inspired by a story that came to Mark while on the last Alter Bridge tour. The story takes place at the turn of the next century where humans and fabricated beings called “vessels” are trying to co-exist. The novel for A Dying Machine, written by Mark Tremonti and John Shirley, has begun shipping to fans that pre-ordered the book. The release of the novel marks the first work of fiction completed by Tremonti, another career milestone for him. The book has been getting rave reviews from fans for the story and a limited number of first-pressing copies still remain. Visit this link to purchase the book. Overdrive spoke to Mark Tremonti earlier this year about the book and his experience taking on the project. Get the full feature interview, right here.